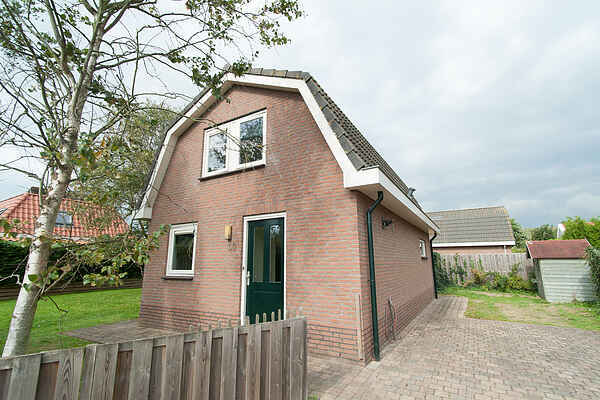 This detached holiday home is located in the rural area next to the dunes north of Noordwijk, where the flower bulbs bloom during the spring. Elegantly furnished for five people and with an ideal location close to the beach, sea, and dunes. In this modern holiday home, you will find all the comfort you may need. There's a bright living room with a comfortable seating area and access to a sunny garden. In the dining area, you'll find a large dining table and the open kitchen includes all modern amenities. The entire ground floor is equipped with underfloor heating. There are three bedrooms on the first floor. Two of the bedrooms have two single beds each. The other bedroom has one single bed. The bathroom has a shower. The large garden surrounds the house so that you can always choose a spot either in the sun or in the shade. You can park in the parking area near the house. The beach can be reached by foot through the dunes and the area is very suitable for cycling trips and interesting outings. For example, the world famous Keukenhof is only ten minutes away and cities like Leiden and Haarlem, but also Amsterdam and The Hague can be reached quickly and easily.